Home / News & Events / Events / Happy Holloween! 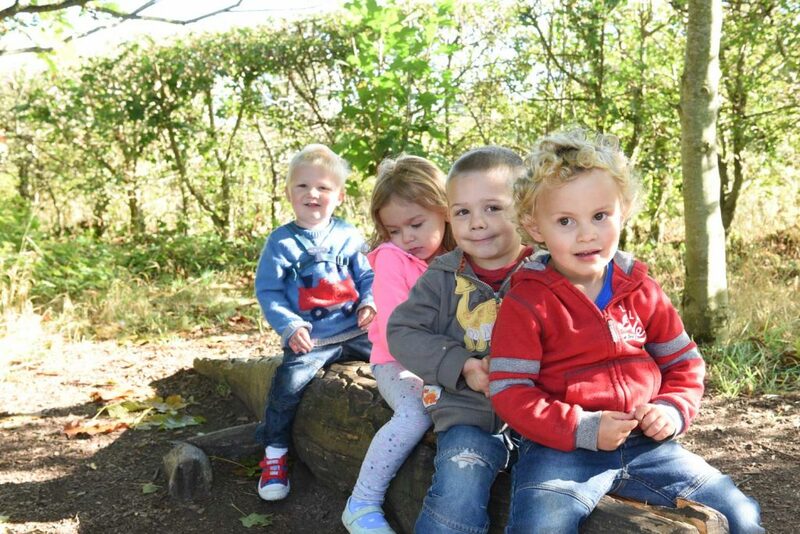 This half-term be prepared to be spooked as Holloween returns to Hollow Trees with some Out of this World Alien Adventures! 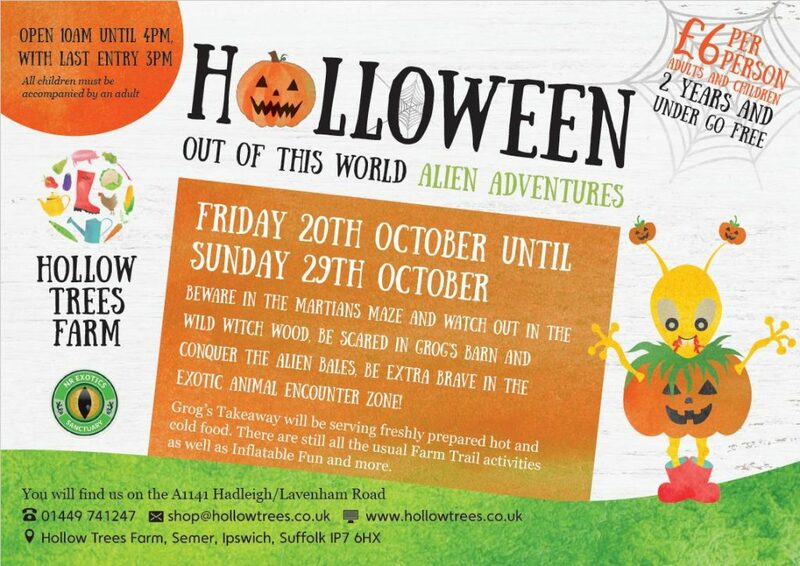 From Friday 20th to Sunday 29th October Hollow Trees is going intergalactic with our popular Holloween event. Come along and conquer the Alien Bales, tiptoe through the Martians Maze, watch out as you wander through Witches Wood, and dare you set foot in Grog’s Barn? And NEW for 2017, our friends from NR exotics are joining us for the exotic animal encounter zone…will you be brave enough to go in? As well as these special events we’ll have all your usual trail activities, plus inflatable fun on our bouncy castle. Grog’s Takeaway will be selling freshly prepared hot and cold food so you can treat yourself after all your chilling experiences!